Diabetes mellitus ― also known as “sugar” diabetes ― is a complex but common disease in which a cat’s or dog’s body either doesn’t produce or doesn’t properly use insulin, a hormone produced in the pancreas responsible for regulating the flow of glucose from the bloodstream into the cells of the body. Without insulin, the body cannot get glucose into the cells for energy, which results in the animal becoming hungry, eating more, and yet losing weight. Additionally, high levels of sugar accumulate in the bloodstream, which is eliminated in the urine and causes excessive thirst. Factors: For cats, ones with obesity, older males, and Burmese are more susceptible. For dogs, it tends to affect older females, specifically poodles, dachshunds, min pins, beagles, golden retrievers, miniature Schnauzers, keeshonds, Samoyeds, and Australian terriers. Complications: Diabetic pets require close monitoring, and while many of the complications seen in people are not concerns for animals (e.g., pets do not require limb amputations), they can become hypoglycemic even when undergoing treatment. Signs can include weakness, disorientation, lethargy, seizures, or coma. Dogs typically develop cataracts at some point, but surgical removal of the cataracts is available through veterinary ophthalmologists and is very successful at returning vision. Cats do not develop cataracts. Treatment: Insulin injections are given at home, as well as a special diet consisting of prescription dry and canned diabetic foods, which have lower and more complex carbohydrates, so blood-sugar levels don’t leap upward after eating. Regular, moderate exercise is also an important part of treatment. Periodic blood-glucose curves are the mainstay of diabetic monitoring. These may be performed in the veterinary hospital or at home. A tiny drop of blood is taken every two hours between the morning and evening insulin injections. A veterinarian interprets the blood-glucose levels to make recommendations about insulin doses. 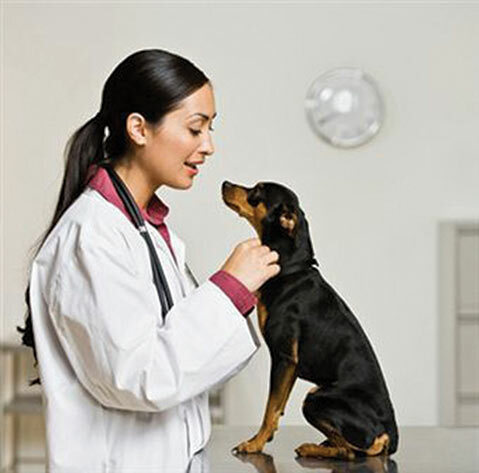 Most dogs and cats with diabetes live long and happy lives and tolerate treatment very well.